Sticky: Welcome to the RGL blog! Hello! This is the blog associated with the Randomness Guide to London (RGL). RGL is a kind of database, kind of review site, used for documenting interesting places in London, UK. Our major obsessions are pubs, restaurants, cafes, bookshops, and museums, and we're also quite interested in places that are vegan-friendly and/or accessible. The administrators of the guide are kake and bob. We're not a UGC (user-generated content) site, but if you have an update on something we've written about (perhaps a restaurant has closed, or a pub has had a change of management) then do let us know. Similarly, we're always happy to hear from people who'd like to come out on an adventure with us and see if they're a good fit for our team of contributors. You can contact us by commenting here (anonymous comments are enabled, but please give us your name or pseudonym and some way of contacting you), or check out the Contact RGL link on RGL itself. Welcome back to another week! Just a short update this time. 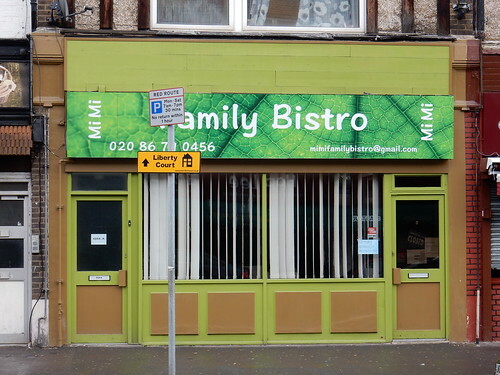 Our featured article is Family Bistro, SW16 4EU, which is a Polish restaurant in Norbury. The pierogi are handmade and worth the wait, for all dumpling fans. Our one new addition is Byrnes Pie and Eel House, a pie and mash shop in Wallington, with trad styling but relatively recent to the area. Our RGL explorer judges the food to be fine. 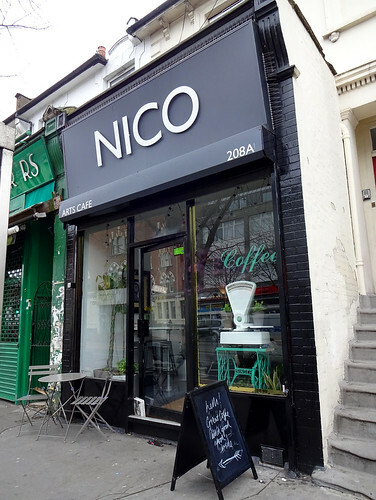 This Sunday Morning saw a new featured article on RGL for Nico, a cafe in South Norwood. Run Run Run there to sample some poached eggs while Waiting For your Man! Reports of a plant-based burger joint opening next door called All Tomatoes Patties are as yet unconfirmed, but further research reveals that the cafe is named after its resident dog, so all my Velvet Underground puns are in vain. Luckily our other update is for Project Orange, a rock bar right outside Clapham Junction station, so all is not lost, musical-pun-wise. They serve a wide range of keg beer and cans/bottles, but only bar snacks are available - if I was in charge I'd serve a vegan menu of Polenta Sandman, Ane-Jollof Death, Mock-Duck Feelgood, Breakin' The Slaw and Cucumber Of The Beast. Those definitely don't sound disgusting at all! Two new articles have been added: Journey Cafe in Sydenham. There you'll find the usual cafe faves along with dairy and gluten free options. Over in Norbury, Family Bistro is a Polish restaurant that serves hearty portions of Russian dumplings and other tasty treats. In happier pub news, The Canbury Arms in Kingston has reopened, though we've yet to visit. 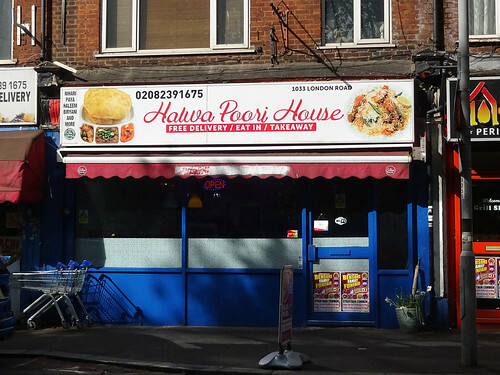 To whet your appetite, our featured article is Halwa Poori House, CR7 6JF, a Pakistani restaurant in London's glamorous and Croydon-adjacent Thornton Heath. The food of the name involves deep-fried flatbread with potato and chickpea curries and halwa (which I always thought of as a sweet thing, so I guess it's covering all the bases). Casual and relaxed apparently. We have one new article, Nico, a small cafe in South Norwood. Expect hanging art in both of the major dimensions (2 and 3), a poached egg variation favoured by "Ellie", Ikea furniture, and helpful friendly service. 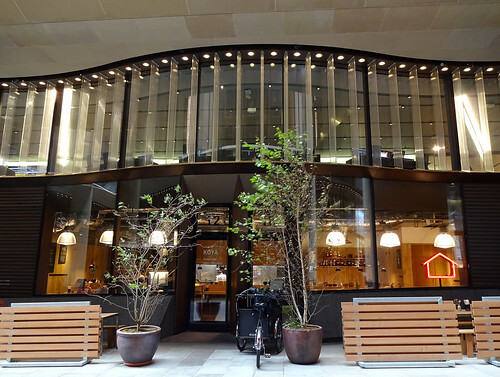 The one reported permanent closure is Wild Honey, a Michelin-starred Mayfair restaurant. Evening RGLers! A quick round up this week. 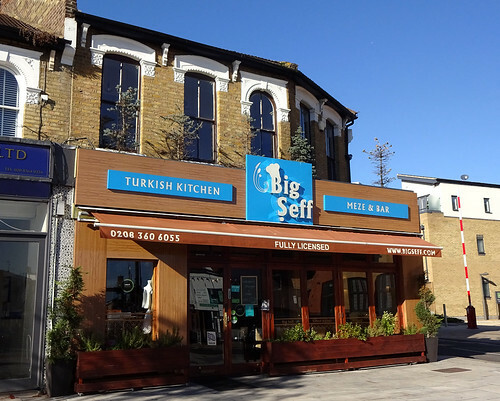 This week's featured article is for Big Seff in Winchmore Hill, the Turkish restaurant on Green Lanes that most sounds like a guest rapper flown in to do a couple of verses and then have a satisfying breakfast afterwards, perhaps with stuffed filo pastry and halloumi. (For some actual Turkish rap, try "Yok Geri Dönmek" by Ceza - high speed but very light and airy). Our other update is for Shadi Bakery and cafe in Croydon, where the naans are freshly made to order - but if you're having 'naan of that' then this update also provides news of dumplings on offer (that come with a naan). 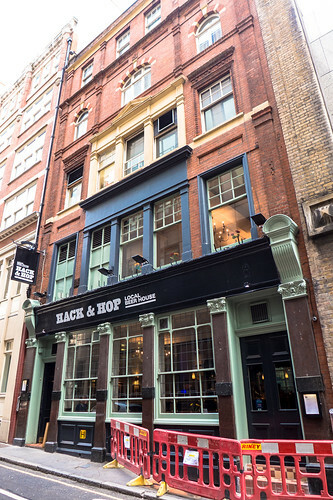 This week's featured article is Hack and Hop, a small City pub that impressed our reviewers with its extensive selection of quality ales and sharing platters. Truly it is a pub of distinction! Speaking of platters, down Croydon way, Seima's Tea Room situated in the Centrale branch of House of Fraser serves a cracking loose-leaf tea and sanger platter. Another Cronx cafe with updates is a bit of a Blur, to steal callback Kat's introduction to the Parklife Cafe on the edge of Lloyd Park. On this visit, bruschetta with a German twist was well received, accompanied with a generous slug of tea. We've one reported closure this week - The Polish Kitchen in Cheshunt has been replaced by a pizza and pasta restaurant called Zio's. Welcome back to a rather quiet week on RGL. 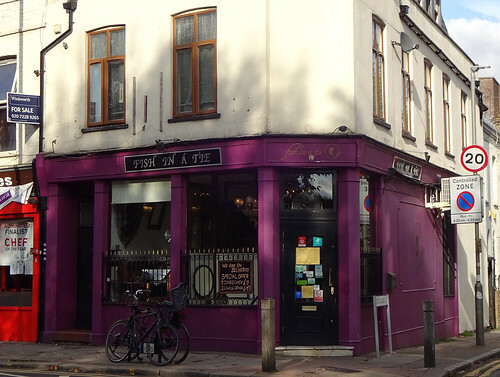 The featured article is The Rose and Crown, W5 4HN. It's a comfortable, low-ceilinged and dimly-lit space, according to our write-up, and you'll get a fine pint of London Pride (it's a Fuller's pub). If you're visiting soon, check out the gnocchi if you're looking for food. The one reported permanent closure is Ezo Bistro in the concourse of Barking Station. There's still a coffee shop there, though, so fear not if you're passing through. 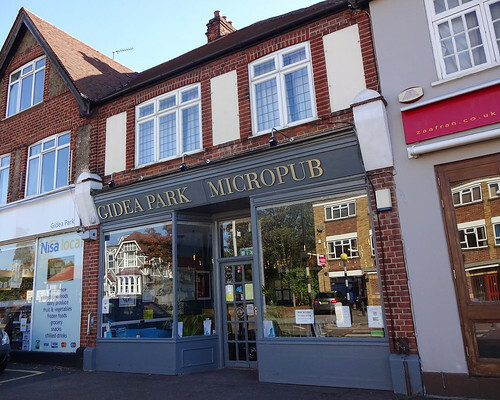 This week's featured article is for the Gidea Park Micropub, where there's plenty of beer and a variety of pork pies on offer. There's a dartboard too, which always worries me a bit when space is at a premium. Like those beds that fold up vertically into a cupboard - it's just asking for trouble. We have an update to the West Norwood Library & Picturehouse following a visit, which revealed some decent vegan options on the menu. We've also paid the Phoenix at Rainham pub a visit following its recent change of management. They also have a dartboard, hopefully one with a bit more space for their patrons to fling their 'arrers around. Finally, the Parma Cafe greasy spoon in Kennington has closed, and is now a sushi bar. I wonder if there any establishments that have gone in the other direction, from sushi to spoon? 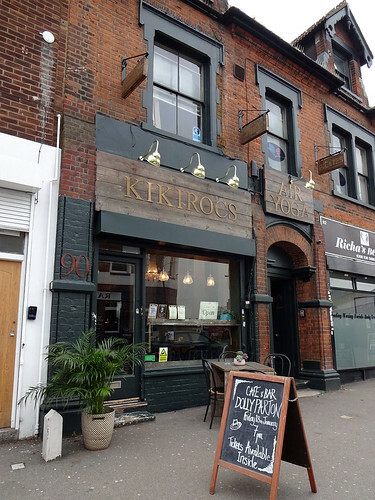 This week's featured article is Kikirocs in South Woodford - by day, a child-friendly cafe, by night, a cocktail-friendly bar. Why not stop by for a Kake-recommended bagel with a side of coleslaw? I recently found out that MEATLiquor has vegan options, so we truly are taking over. However not at the MEATliquor W1G location, as it has been permanently closed, though other branches remain open. Hello and welcome to another week of London randomness. 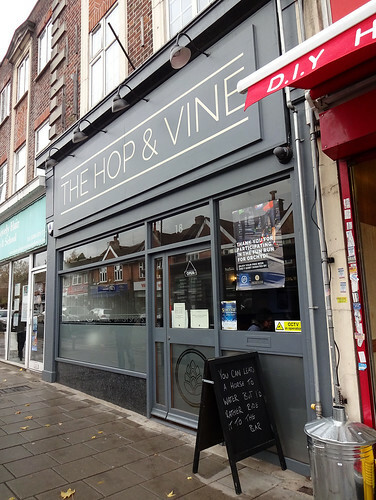 Our featured article this week is a micropub and crafty beer shop in Ruislip, The Hop and Vine, HA4 7AN. Expect friendly service, wood-panelled walls, ales, cheeseboards and, if you're lucky, maybe a dog or two. Reported temporary closures for the Cartoon Museum (yes there is one and it was in Bloomsbury, but intends to move to Fitzrovia), and Cote d'Azur, a French/Mauritian fusion restaurant in Croydon, which has closed rather more mysteriously (so it may or may not return). Reported permanent closures are Maze, a fancy Gordon Ramsay-owned restaurant in Mayfair (I'm sure you went all the time, so we're sorry to let you down); The Waterloo Bar and Kitchen which was a bar and kitchen in, er, Waterloo; and finally Obia, an Italian restaurant in "Croydon's restaurant quarter" (South End). 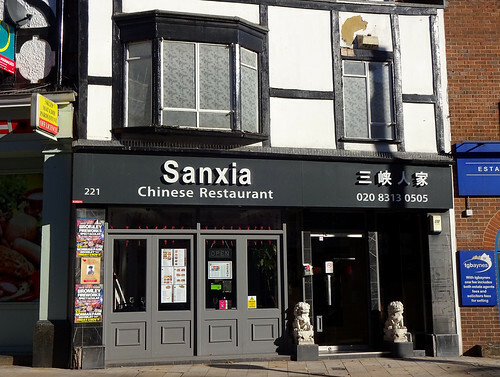 This week's featured article is for Sanxia, a Sichuan/Hubei restaurant in Bromley, where you'll find the marvellously-named dish 'ants climbing a tree' (spicy pork vermicelli). I do like a place that has a menu section called 'Adventurous Dishes' - if you're after some #TripeOfTheDay then you could do a lot worse than here (or their sister branches in Deptford and Fitzrovia). I've gone veggie for 2019 though, so you'll have to eat my portion for me. 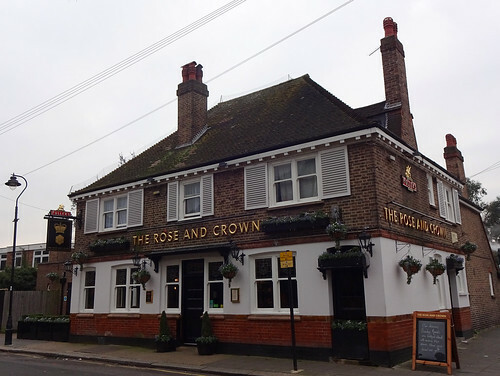 Some pub updates, following a recent jaunt to Ealing: the Rose and Crown and the Castle Inn are both Fuller's pubs, with a predictably similar beer selection, but the menus are quite different (no tripe). Over towards Old Street, the Trader is now under new management, and has been renamed to the Whitecross Tap. The Antic-owned Jam Circus pub in Brockley has closed (a distinct lack of actual jam there, as I recall), as has the Grill On The Market by Smithfields (jam quantities uncertain but I remember it being very noisy), and the Dispensary in Whitechapel (very handy for my office, zero jam). The Big Green Bookshop in Wood Green has also finally closed its physical shop - online jam(s) available only. If you're looking for advice on where to seek out Japanese noodles in the City, "udon" well in reading this update. Koya serves up udon in a variety of temperatures in a rich and salty broth. Expect solid competence in a modern setting, with efficient service. Two new articles have been added: Ma La, a Sichuan restaurant in Westminster which can accommodate small and large groups, though you might benefit from scattering across smaller tables if you want to reach the lazy susan. 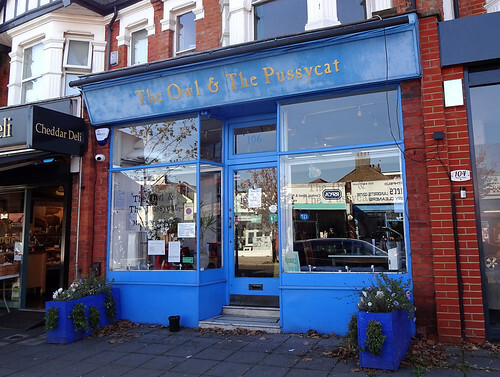 There's also Planet of the Beans, a child-friendly cafe in Selsdon serving an interesting interpretation of eggs royale. Updates have been made to Ealing Park Tavern, where a pint of lime and soda is £2 and the mains are tasty, albeit on on the small side. 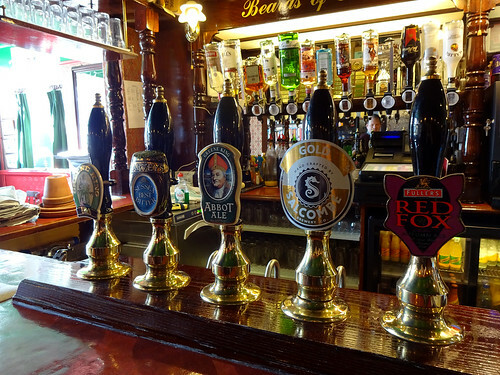 Updates have also been made to The Speaker, a small pub in Westminster with a good selection of beers that passed the RGL drinkable taste test. If you're looking for Stanfords, an excellent map shop in Covent Garden, note it's moved around the corner from Long Acre to Mercer Walk. Welcome back to another week on RGL. The cedar of Lebanon (cedrus libani) can reach 40m in height, with a trunk up to 2.5m in diameter. It's mentioned several times in the Hebrew Testament, so it has been around in the area for a while now. It's also the national emblem of the modern country of Lebanon, prominently featured on its flag. 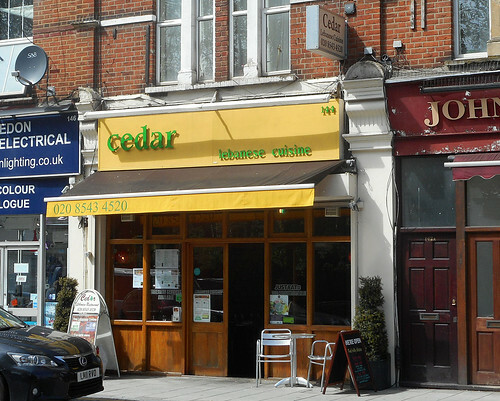 Which is presumably why our featured article, a Lebanese restaurant, is called Cedar, SW19 1BA. If our review of this restaurant has to be summed up in a single phrase, it would presumably be: "pretty good". The one new article is the intriguingly named Kikirocs, a cafe by South Woodford station. Expect delicious coleslaw. 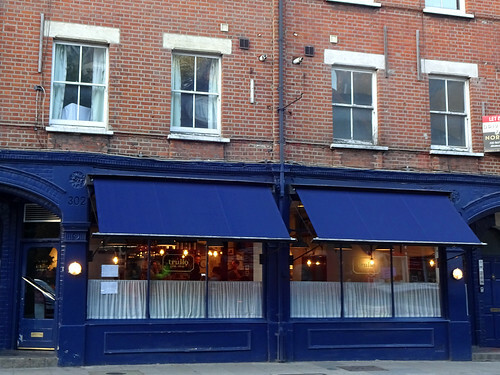 Finally, we have a significant update to the entry for The King's Head pub in Earl's Court. It's a Fuller's pub, which means the beers are solid and it's a nice place. Happy new year from all at RGL! I hope your 2019s have all been good so far. 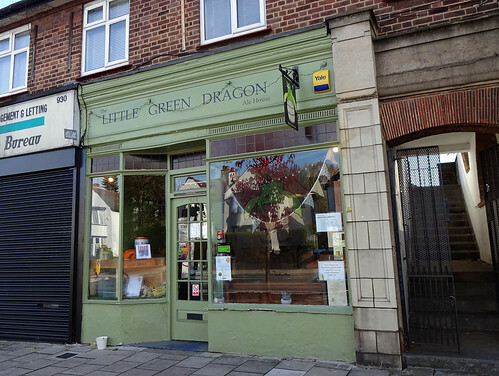 Kicking off the featured articles for the year we have a friendly micropub in Winchmore Hill: the Little Green Dragon has plenty of real ale, real cider and real pickled eggs. It comes well recommended by our reviewer, so worth a visit if you're up that end of Green Lanes. There's a new article for Nick's Cafe bang in the middle of Bromley Mall, a good lunch option that does Turkish breakfasts, and cheese that 'actually tasted of something'. I'm sad to hear that Kris Wines in Kentish Town has shut for good - it was a great little spot for acquiring unusual beers. The Big Green Bookshop in Wood Green is also closing its premises, as the business is moving to online-only. That worked out well for Mr J. Bezos in the 90s, so fingers crossed for them. 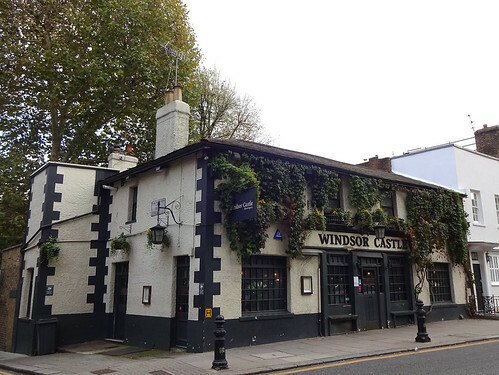 This week's featured article is The Windsor Castle, located in Notting Hill (though their website says Kensington, possibly due to longstanding Hugh Grant based beef). Inside, the decor is from the 30s, though happily the real ale and traditional pub classics menu is not. If you're hankering for a Timothy Taylor beer, but not sure what you'd like to quaff, The Bricklayer's Arms now serves the full range, and are apparently the only London pub to do so. The Smithfield Tavern, a pub near the market, has shut down and is now a branch of Simmons Bar though we've not visited. It's a quiet week on RGL so there's less to read this week. Hello! This week's featured article is Fish in a Tie, SW11 2PF. Fish in a tie! Fish in a tie! I feel like that may be the start of some catchy children's ditty, albeit one that perhaps does not end up so happily for the fish. As a vegan I feel I must point out... Anyway, assuming you like fish, this sound like the place for you, and it has good service which should always be rewarded. The one reported permanent closure -- which is to say, this is not a place you can visit anymore, sorry -- is Dosa n Chutney, a South Indian restaurant in Croydon. Given the name of the place, the chutneys should probably have been more than "competent", but if you head further up London Road you can visit the lovely Santok Maa's where they'll do you a chutney dosa. I was there the other week. Anyway, that's by the by, and that recommendation isn't officially part of the update. But it seemed relevant to those who might be interested in the categories of both dosas and chutneys and the intersection thereof. Good evening, and welcome to a slightly belated blog post. Our featured article this week is for Trullo near Highbury & Islington station. Their tagliarini is good enough to convince our pasta-sceptic reviewer into a return visit, and to be quite frank the write-up is making me feel hungry, despite my having scoffed four mini naan breads mere seconds before typing this sentence. There's an update for the insensitively-named but otherwise pleasant Job Centre, an Antic pub in Deptford (very close to Wavelengths swimming pool, if you require a decent vegan roast after your Sunday morning 2km dip). Finally, we've one closure to report: East Meets West in Croydon's Wing Yip centre. Hello and welcome back again, once again belatedly (on my part)! 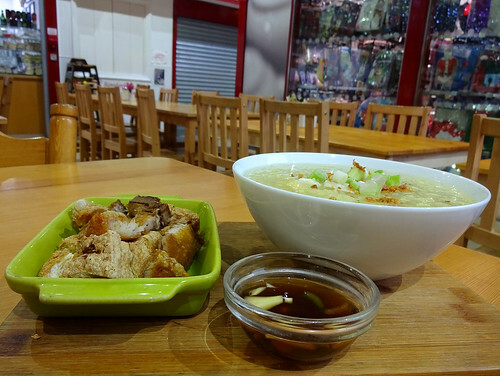 This week's featured article is Sunrise Jacket Potato and Oriental Food, RM1 3AB, a Filipino cafe in a Romford shopping mall. It's casual and utilitarian but clean, and the food is good, though Kake advises to avoid the chicken dishes. 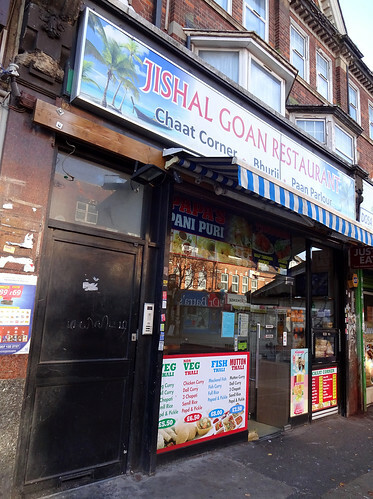 After the Good Beer Guide pub blowout of the last few weeks, there are only two new articles: Jishal Goan in Wembley (again pretty basic, but with more underwhelming food), and Everyman Crystal Palace, a new outpost of the upmarket cinema chain. There are significant updates to The Case Is Altered pub in Harrow Weald which has a large beer garden, and The Crown and Sceptre in West Kensington, a small many-pillared space. One reported permanent closure is Cafe Adagio in Addiscombe, and a possible closure is The Station House in Chingford, but no one is sure if it's temporary or permanent. Beer fans celebrate! All the new Good Beer Guide 2019 entries have been uploaded. There are 306 in total, so why not visit a local watering hole, or wander to a new 'hood to quench your thirst? New articles include Lounge 101, an Indian restaurant and bar in Ruislip with some interesting ideas about service. If you're round Ruislip way and fancy a beer, there's Hop and Vine, a micropub which as expected is small, but happy to make room for canine friends. Finally, the West Norwood Library and Picturehouse in, you guessed it, West Norwood, opened its doors, though we've not visited yet. Updates have been made to Somali Town Restaurant in Streatham. It serves up hefty portions of food, though with slightly carbonized anjero on this visit. In closure news, Halcyon Books in Greenwich has permanently shut. Masaledar, an Indian restaurant twixt the Tootings Bec and Broadway is also shut, although we're uncertain if this is temporary or permanent.